PRO200 시리즈 프로페셔널 파워앰프는 Crest Audio만의 음질을 유지해주며 작고 경량(약10Kg)의 2RU입니다. 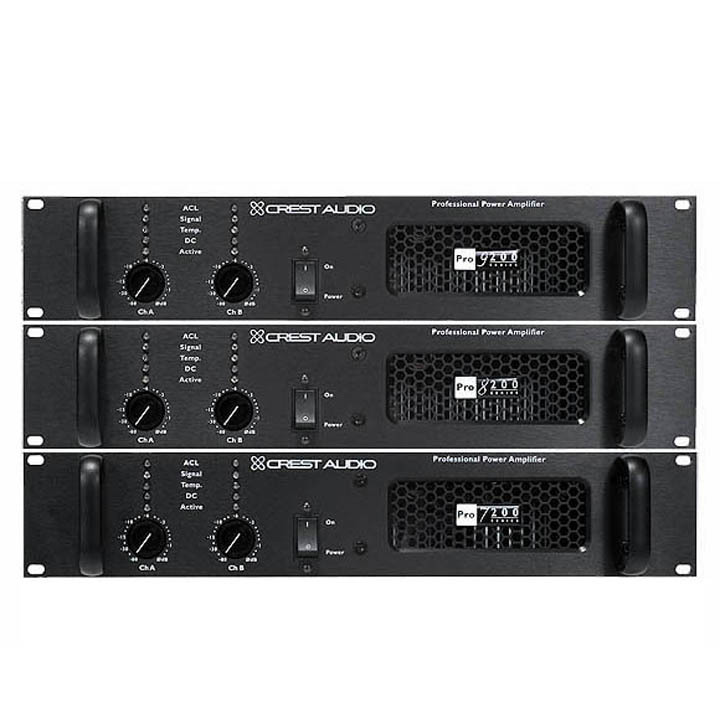 Crest Audio RRO200 시리즈 앰프는 고출력을 낼 때도 왜곡율이 작고 비용 효율이 높은 제품입니다. 전문적인 고출력과 경제적으로 설계 되었습니다. 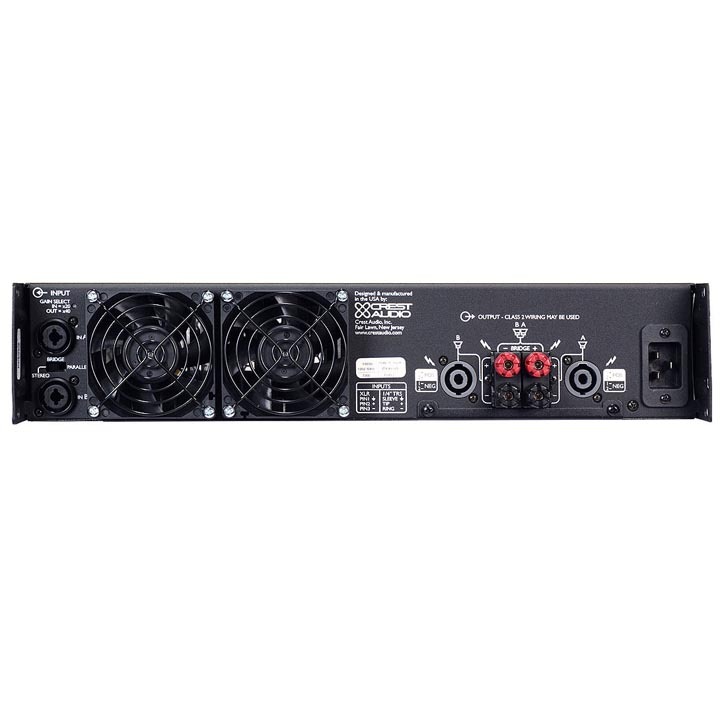 The Pro 200 Series professional power amplifiers offer Crest's renowned sonic integrity while providing exceptionally high power ratings (6500 W bridged on the Pro 9200) in a compact, lightweight (under 25 lbs.) 2U package. The Pro 200 Series amps feature Automatic Clip Limiting (ACL) to protect connected drivers; IGM Impedance Sensing to accommodate varying impedance outputs; tunnel-cooled, high efficiency heat sinksl and veriable-speed DC fans to limit the operating temperature and extend amplifier life.